We are very proud to announce that our very own surgeon Dr Vrtiskova has started the mission for Rotaplast International, in Guatemala. Dr Vrtiskova not only has a medical degree and over 20 years of plastic surgery experience, she is also a national representative of Eurocleft for the Czech Republic. Dr Vrtiskova is volunteering on the third mission that has taken place this year. Approximately 100 children receive treatment during each mission depending on the number of operating rooms available. This helps to save lives and save smiles. 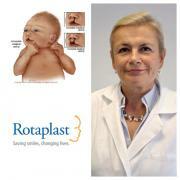 Keep checking our Facebook and Twitter pages for updates on Dr Vrtiskova’s journey for Rotaplast in Guatemala.